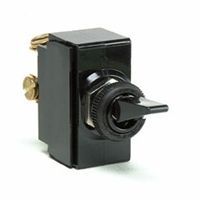 SPST On-Off rocker Switch. Standard black nylon handle. SPDT On-Off-On. Black nylon handle. Down: Off, Up: On. Standard chrome plated brass handle, facenut and mounting stem. SPDT momentary toggle Switch. Black nylon handle. Off - On Push Pull Switch with Chrome Brass Knob. 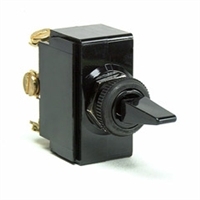 2 Position Push Button Switch. 2 Position Off - On Switch. 3 Position Brass Construction Ignition Starter Switch. Push Button Switch, Normally Off, push to On.